Papaya is very famous fruits that eat throughout the world. There are a lot of health and skin benefits of papaya. Papaya is also helpful to manage your weight, diabetes and control the high blood pressure. Are you looking for hair then yes, papaya is also beneficial for hair as well. In this article we are listing 17 benefits of papaya for skin, hair and health. Papaya is the good solution for flawless and brightens skin. It reduces the acne, dark spots, wrinkle and pigmentation. So start reading below for several other benefits of papaya which are useful for you. Papaya is great natural fruit for moisturizes your skin. Are you facing the skin dryness problem? Then start using papaya face pack that helps you to soften your skin quickly. Papaya is rich in enzyme that gets rid of all dryness of skin. Papaya is one of the best natural ingredients to treat the acne and pigmentation. Papaya contains brightening property that helps to get rid of pigmentation. It has carotene, enzymes, and photochemical that turns your skin into fairness. Wrinkles are the common skin problem for many people. Papaya is the great home remedy to remove the wrinkles and aging effect. Papaya peel contains enzyme that help to remove the dead cells from your skin and give you the wrinkle free skin. 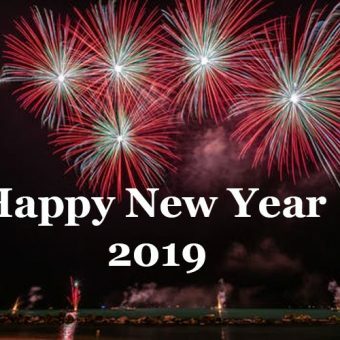 If you are working on computer for long time or by any other reason suffering with dark circle around your eyes that this is the good news for you. Papaya will help you to remove the dark circle under eyes. Papaya is a good natural bleaching agent that give you brighten, lighten and soft glowing skin. Papaya is also helpful to removes tan. Papaya contains vitamins A and C that are very beneficial for the skin lightening. Follow the below method to use papaya and remove the tan quickly. Hair loss and hair fall problem is the very common because of the unhealthy diets, a lot of pollution, using chemical shampoo etc. Are you also worried about your hair fall? 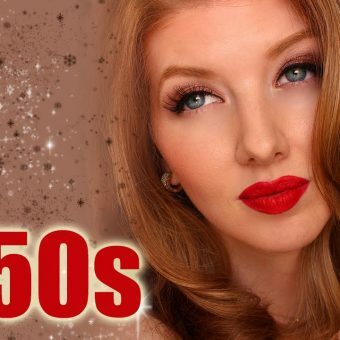 Do you have less hair and want to growth your hair? Then papaya is one of the best solution for your all these problems. Papaya contains folic acid that helps to improves circulation to hair follicles and help for your hair growth. You can use the papaya as a good hair conditioner. It helps to soften your hair effectively. It contains vitamin A content that promotes the production of sebum which is use as a great conditioner of your hair. Blend the papaya properly after removing its seeds. Are you looking for the natural solution of dandruff? Don’t worry; papaya will solve your dandruff problem effectively. Fungal infection the main reason of dandruff. 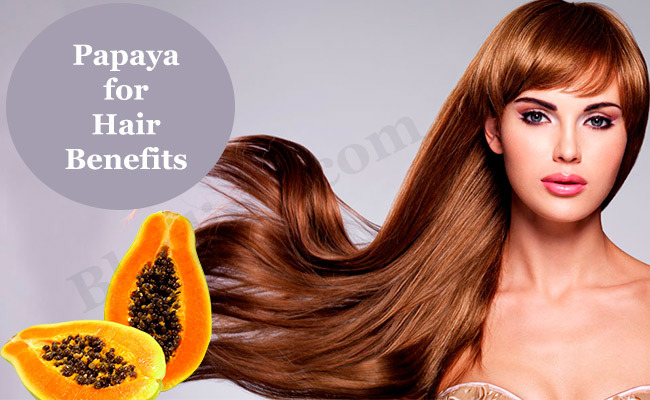 Papaya seed has the antifungal property that controls and removes the dandruff from your hairs. 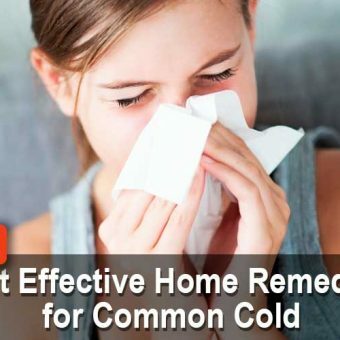 Ringworm is the skin problem that is very irritating. Papaya is the effective home remedy to treat the ringworm. Papaya milk has carotene and anti-inflammatory properties that help to reduce the infection, redness and inflammation caused by ringworm. 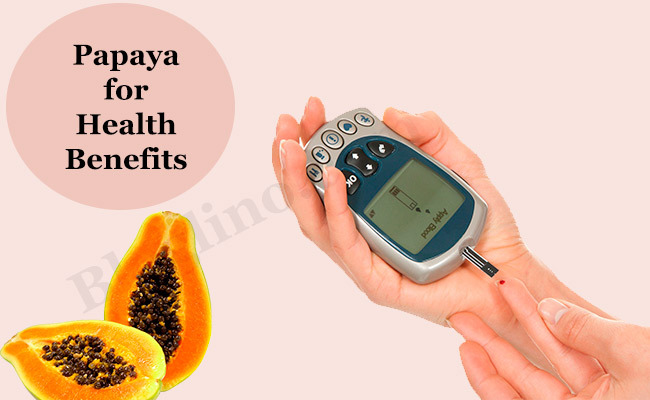 Papaya is the well known natural home remedies for diabetes treatment. You can easily find the papaya and use it in your daily diet. It will control the type 2 diabetes. Raw papaya extract can help to secrete insulin. If you are looking for natural treatment of diabetes then papaya is the best option. You should eat the papaya daily in any manner like, in salad, as a vegetable, as a fruit etc. Papaya is also very effective to control the blood pressure. High blood pressure is the silent killer. 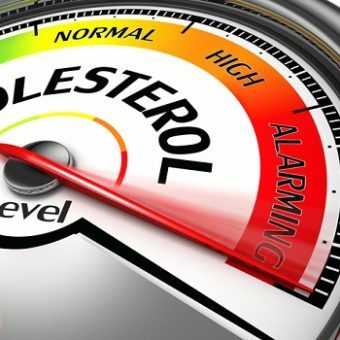 Blood pressure problem occur due to your life style and bad diet. You also need to do the physical exercise to control the blood pressure problem. Papaya contains potassium that is the great ingredient to control the blood pressure. So start using the papaya if you are looking for the solution of blood pressure control. 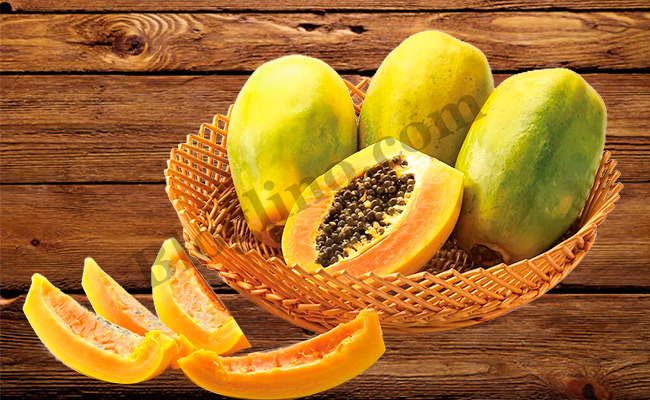 Papaya fruit and seeds are well known solution for the birth control from very long time. 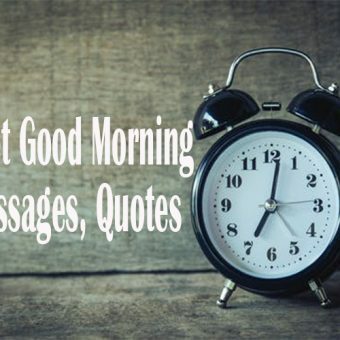 Pregnancy is the dream of every woman but some time due to certain reason if you do not want to pregnancy then consume a large quantity of unripe green papaya. It will help to avoid pregnancy. Papaya is the natural home remedy to treat the Gout and reduce the gout pain fast. Gout is basically caused by the accumulation of uric acid in the blood. Basic symptoms of gout are swelling, redness and pain in the joint. Papaya contains papain which has anti-inflammatory property that effectively treats the gout. Are you looking for the best and easy solution for the gout pain then you can go for papaya. Start using papaya in your daily diet routine. Arthritis or joint pain is the very painful problems. It can be happen with age factor or due to weight gain. In the arthritis much inflammation occurs in the joint. As you know papaya contains anti-inflammatory property that effectively helps to reduce the arthritis pain or joint pain. So you need to start using the papaya in your diet. Vitiligo or white patches on skin is the problem which cover approx 1.5 percent of world’s population. In this skin problem white patches appear on the skin. Papaya is most effective natural home remedies for the treatment of vitiligo or white patches. Papaya helps boosting the melanin production and resorting the skin normal color. Papaya helps to increase the breast milk. Lactating mothers must eat the raw papaya in their diet. So if you are worry about the less milk breast production then papaya is the best solution for you. 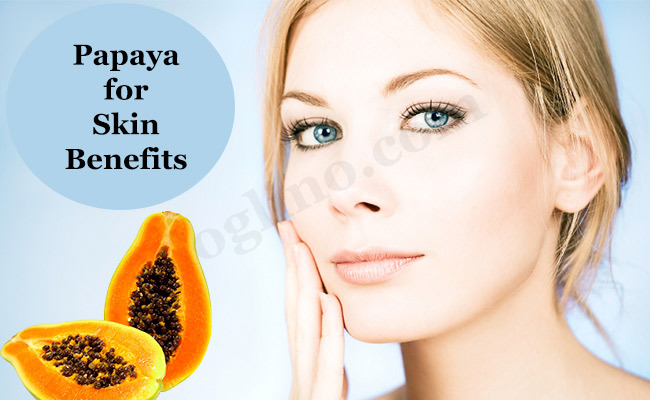 In this post you have gone through the 17 benefits of papaya for skin, hair and health. So from now you don’t think that papaya is only fruit but it is a great natural home remedy to treat many health problems. Please share this post to your friends so that they can take the advantage of these papaya benefits and live an easy healthy life.